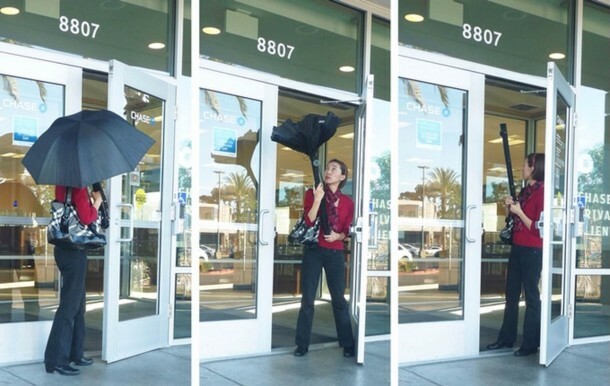 Umbrellas are a blessing on rainy days, however, the conventional device poses a problem; the accumulated water on the umbrella has nowhere to go when you close the umbrella upon entering a building. The end result being that lobbies, cars, lifts and other areas are prone to a secondary flood. 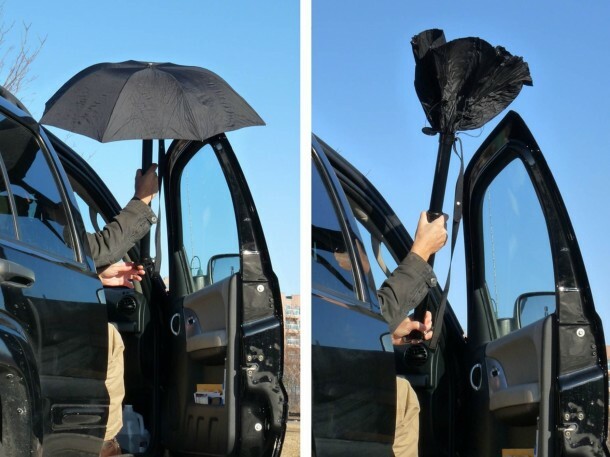 The RainBender umbrella comes with a unique twist on its design and features an inside-out design where the canopy instead of folding, vanishes inside the umbrella’s handle. 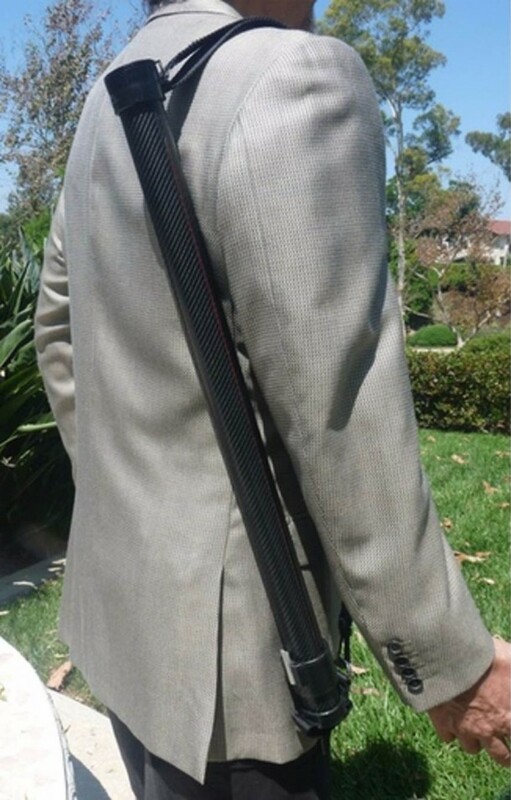 RainBender supports flexible ribs that have been attached to central pole instead of the rigid canopy frame that conventional umbrellas are built with. 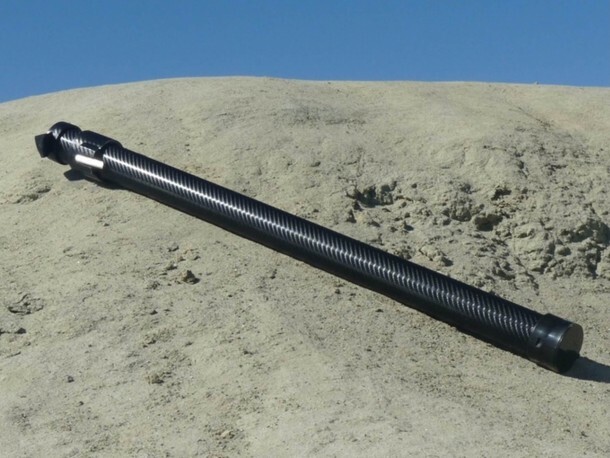 The central pole is situated inside of a lightweight carbon fiber cylinder thus creating a handle that is a bit thicker when compared with the traditional handle. RainBender doesn’t fold, instead the user slides a ring down and it pulls the canopy inside of the cylinder. The cylinder then doubles up as a receptacle for dripping rainwater that would have otherwise ended up on the carpet or in the hallway. This cylinder can be drained upon user’s convenience and that’s when the umbrella can be opened up for drying as well. 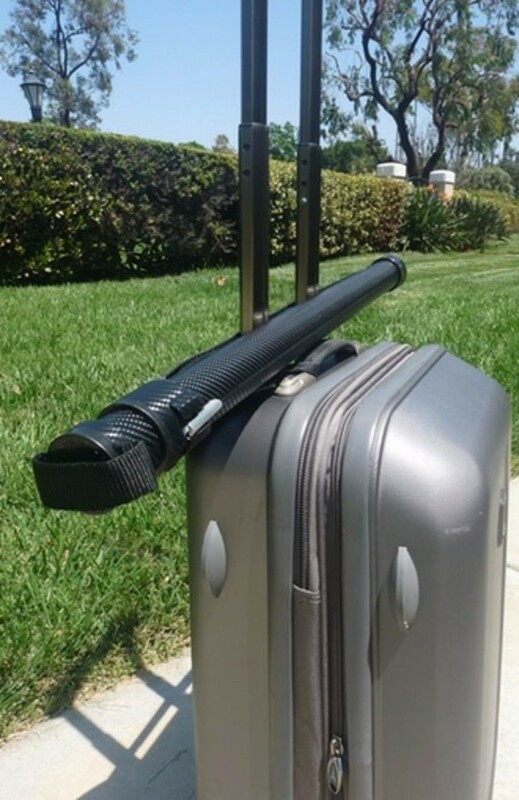 The umbrella can be secured using an adjustable shoulder strap that can also double as a luggage strap that is capable of being fitted over a carry-on handle. The gadget is currently raising funds on Kickstarter and comes in Noble Black or Nova Red with a pledge bid of $50 for the first 200 pledges.